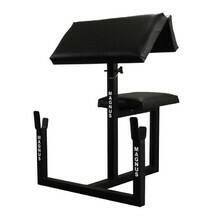 Scott benches are designed to help you thoroughly exercise your biceps. 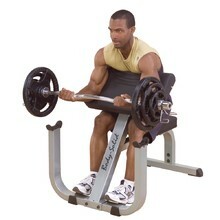 It is sometimes called “biceps bench”, because you can use it to exercise a biceps separately. The bench is named after a legendary body-builder, Larry Scott, the first man to bear the Mr. Olympia title. The most usual use is double-handed higher load weightlifting. 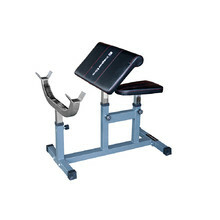 We offer a wide range of inSPORTline and Body Solid Scott benches. 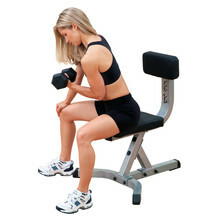 Natural and effective arms and biceps exercises, 6 adjustable resistance levels. 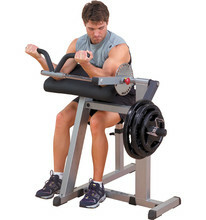 Commercial workout machine specially designed to tone and shape biceps. 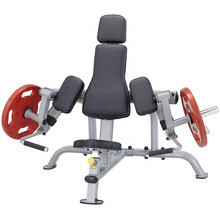 210 kg weight limit, steel frame, comfortable padding, weight 14 kg. 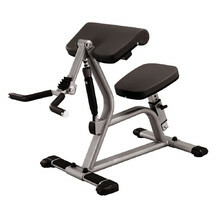 Workout stool suitable not just for dumbbell exercises.